For the most part, my kids are fairly indifferent to the various things I review for Babyology – fair enough as well, whether a pram folds with a flick of the wrist or a designer revolutionises the highchair is not particularly relevant to six and seven-year-olds. However, when a new Moshi Moshi Kawaii book landed on my desk, the kids pounced. 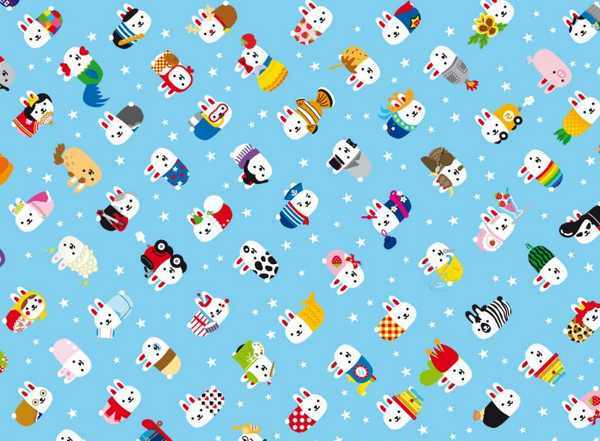 If you are not familiar with the Moshi Moshi Kawaii sensation, let me fill you in. Moshi Moshi Kawaii is essentially Japanese for cute little ‘monsters’, mostly sausage shaped bunnies. They began as good luck charms or friendship gifts and are now used everywhere from electronic games and toys to books and baby’s dummies. 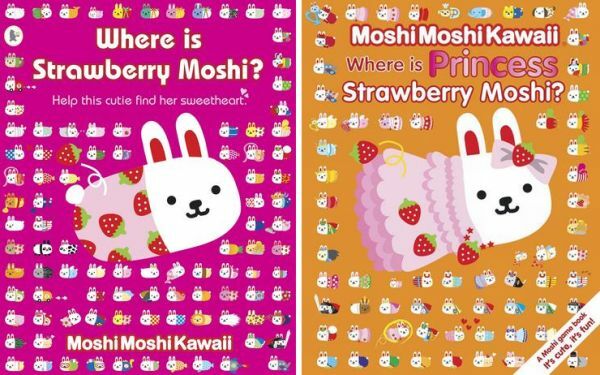 Walker Books have just released two super-cute Moshi Moshi Kawaii activity books – Where is Strawberry Moshi? and Where is Princess Strawberry Moshi? The books are basically Where’s Wally? gone pink and very cute. Every page is crammed full of sausage bunnies of all kinds, from the Snow White Moshi group and the Mermaid Moshi group to the Aloha Panda mob and the Waitress Moshis. At first glance you think it will be simple to find your Moshi but the illustrations and the individual Moshi are deceptively detailed. There is a vague storyline running through the books but really it is all about filling the pages with cute characters in cute settings and allowing young readers to go on a visual scavenger hunt. As well as things to hunt for on each page, there are extra activities at the back of the book so you can start all over again and search for various things from a crying Baby Moshi through to a Moshi Blancmange. There are also stories within the story for example in Princess Strawberry Moshi you can also follow the ‘traditional’ stories of Cinderella and Snow White on each page. It’s kitsch, it’s fun and despite being very pink and frilly, my boys spent a lot of time studying the pages. The Moshi Moshi Kawaii books are suitable for children aged four years and over. The books are available from most booksellers and online at Fishpond. Update – a new title Where’s Strawberry Mermaid Moshi will be released in February 2011. You can pre-order now!